Just letting you know that the service was excellent. There was no messing around, you guys seem to run your business really well. I'll definitely be shopping from you again! High-End 30M VGA + 3.5mm Stereo Audio Cable (Male to Male) + FREE SHIPPING! A incredible 30m of VGA Cable with an integrated 3.5mm Audio lead for a tidier office! 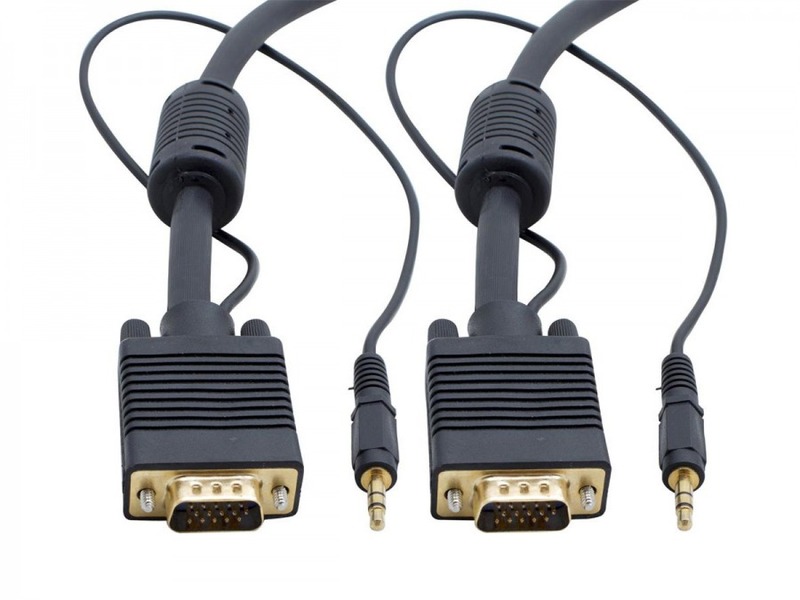 Clean up the spaghetti behind your computer and keep your home or office tidy by trading up to these VGA Cables with integrated 3.5mm Stereo Audio leads. With VGA monitor cables being the most universally used connection for computer displays throughout the years, the VGA standard offers very high quality analog video signals for your display. Plus the inclusion of the integrated 3.5mm Audio lead means you can couple your stereo audio signals with your video cable. Ideal for connecting any VGA output equiped PC or Laptop to a Monitor, Projector or TV with a corresponding VGA input. Leaving the 3.5mm audio lead to be connected to your display (where supported), or a nearby speaker / AV receiver. Quality is assured as our VGA leads are specifically manufactured to meet Australia's high standards and feature a Double Sheilded Ferrite core for the optimal EMI and RFI screening protection. Ferrite cores for the optimal EMI and RFI screening protection!